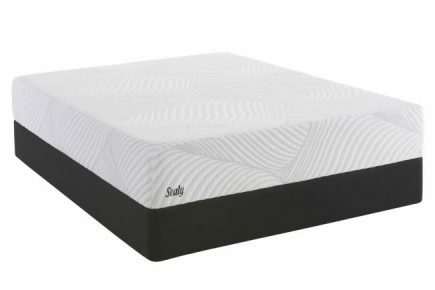 The Upbeat is a medium firm mattress that is part of Sealy’s Essentials™ Collection. 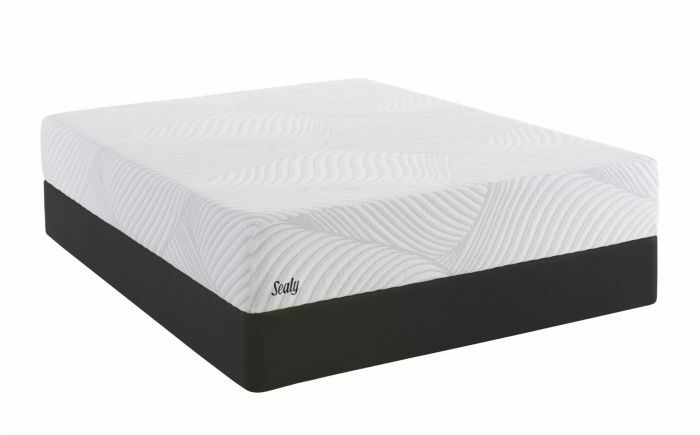 As with all of Sealy’s memory foam mattresses, it features the UltraStretch ComfortLoft Cover, providing a barely perceptible barrier between you and the conforming memory foam that contours to your shape. Memory foam is a wonderful mattress material because it absorbs motion, so happens on one side of the bed, stays on that side of the bed. The first layer is ComfortSense Gel Memory Foam, that feels around your curves, slowly conforming to your body while you sleep. Each time you rise, it retains it’s original shape and will for many years to come. The supporting layer is made up of Sealy’s Support Gel Base Foam, maintaining back health and proper spinal alignment so you feel the day ahead feels like a treat. It is compatible with adjustable base foundations. In conclusion, if you’re searching for an affordable mattress on the firmer side, and want the many benefits of memory foam, the Sealy Essentials Treat is the perfect mattress for you.